For a start, “Jimmy the DJ” with the fag, jeans, pint and burd is not what you’d get here! There are some DJ’s who do weddings all the time and have done for years – we only use these very experienced guys. This is the one day things need to be right – there are many a mobile disk jockey who are cheaper, but this isn’t the day to save a few quid, weddings are different. Would you take your Rolls Royce to a go-cart technician for a service? You pick some of the music by filling in the request form, also giving the names of the members of your bridal party. Our DJ may not have been friends with you for years, but your guests have, so with the right information it can appear as though our DJ is part of the party too. We’ll be looking for your choices for the first couple of dances, along with the last, so start thinking! If necessary we are able to offer some ideas of recent choices to set you along the right track. Equally as important to some can be a list of things not to be played, if this is for you, then let us know. Your guests are welcome and encouraged to give their suggestions of tunes which will work for your group – and provided they prove to have musical taste, they’ll be added to the list! Having performed in many Edinburgh hotels such as the Balmoral and Carlton Hotels and Castles like Edinburgh and Dalhousie you know you’re getting a quality performer. 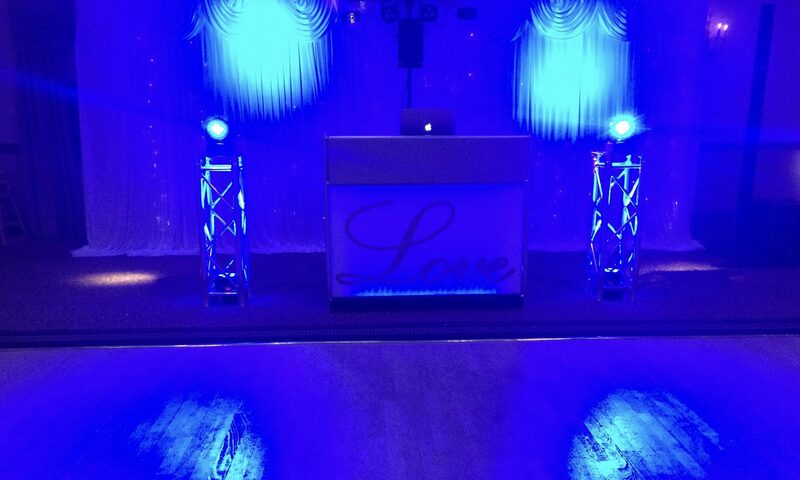 If you’d like to speak with the DJ prior to your wedding this will happily be arranged. Our standard disco rigs are hardly standard. Graeme’s own love for gadgets and great sound and light shows is the reason why his own, best system is the world’s best Bose L1 Mk11 speakers which sound so crisp and clear they bring home hi-fi quality to the function suite, making sure you give your guests the “wow-factor”. Controlled by a Denon Dn-Mc6000, using Traktor Pro 2.5, the music comes from an Apple MacBook holding the huge range of music which might be needed for your party. When it comes to lighting effects, Graeme has many to choose from and he selects those which make the most of your venue, complimenting the shape and size of the room; rest assured there are no 70’s school disco lights!